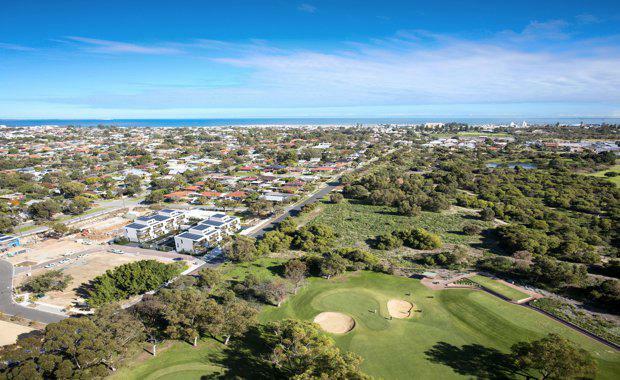 National recognition of local sustainable developments is giving Western Australia a reputation as a state with a green ambition, with an apartment project in White Gum Valley the latest to receive a highly-regarded sustainability accolade. This week Yolk Property Group’s Evermore development was recognised by Bioregional Australia Foundation as a One Planet Community and national leader for a commitment to sustainable living – making it the first apartment development in Western Australia to receive this honour. Bioregional Australia Executive Director Suzette Jackson said Evermore showed a strong commitment to sustainability, particularly through its shared solar initiative. “Evermore is setting the bar high with its sustainability and quality of life features and is showing strong initiative in pioneering new technology and applications,” Ms Jackson said. Western Australians Growing Increasingly Keen To Buy Green]Ecological foot-printing shows that if everyone in the world consumed as many natural resources as the average Australian, more than four planets would be needed to support the existing global population. Ms Jackson said One Planet Communities lead by example enabling people to transition to a one planet lifestyle. “Evermore is unique not only in that it is the first apartment development in Western Australia to be recognised as a One Planet Community, but it sits within a One Planet Community, LandCorp’s WGV precinct, within a One Planet City, the City of Fremantle," she said. In 2014 the City of Fremantle was one of the first councils in Australia to become a One Planet City and Fremantle Mayor Brad Pettitt congratulated Yolk Property Group for being the first apartments in Western Australia to achieve national recognition for One Planet Living. “One Planet Living is about working collaboratively to create places which enable people to live, work and do business within the natural limits of the planet,” he said. “Having Yolk adopt the One Planet Living philosophy and principles for its Evermore WGV residential development is not only fantastic news but yet another sign of the relevance of living sustainably, particularly within the realms of our port city,” Mr Pettitt said. One Planet Living is an international framework and recognition is widely considered by developers to be the highest accolade in terms of sustainability, with the stringent recognition process adding to its credibility. 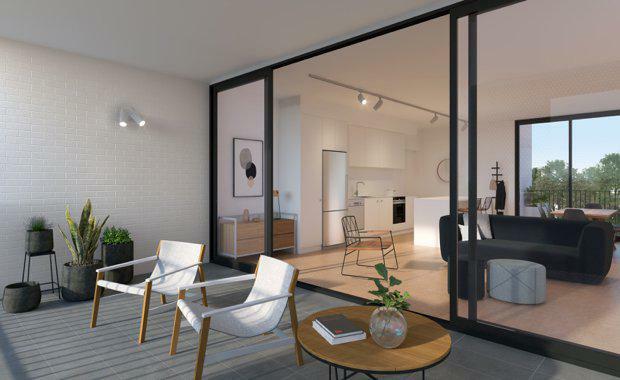 Director of Yolk Property Group Pete Adams said the recognition has added weight to the claim that Evermore is the greenest apartment development in Western Australia. "We’re immensely proud to become part of a network of the earth’s greenest neighbourhoods. Our goal with this development is to go above and beyond and lead by example, even if it means treading untested waters, taking risks and trialling new ideas or technology,” Mr Adams said. 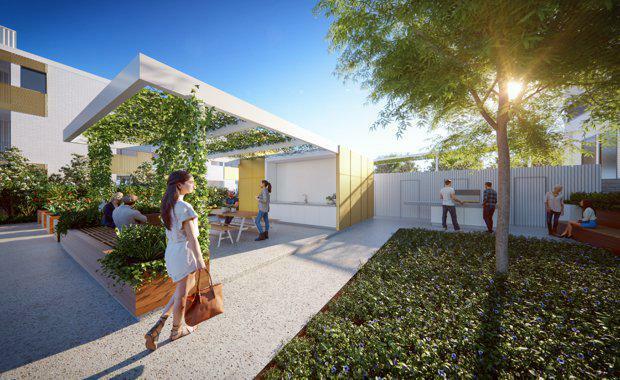 At Evermore, Yolk Property Group is pioneering the use of shared solar technology in a large-scale strata setting with a governance model developed by the Curtin University Sustainability Policy Institute. 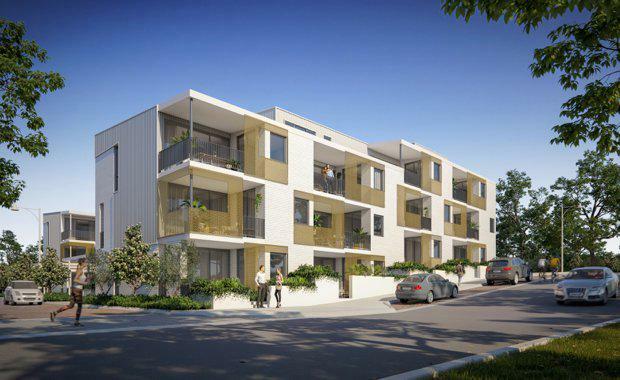 It has been forecast the technology will produce approximately 80 per cent of the apartments’ power, with residents expected to benefit from a 30 per cent saving on their electricity bills. With so much power off the grid, residents also have the advantage of being less affected by fluctuations in energy prices. Real-time measurement and recording of water and power consumption will further give residents greater control over their energy usage and ensure maximum energy-efficiency. Mr Adams said Evermore aims to achieve sustainability through addressing the One Planet Living principles related to sustainable water, local and sustainable food, sustainable materials, zero waste, zero carbon as well as culture and community. He said the focus with Evermore was not solely on the end-product, but how residents will live in the development after building is complete. “One example of how we’re looking beyond construction is our aim to promote social interaction and reduce disconnectedness and isolation of residents. The design of a communal space between buildings with courtyard, veggie garden and bicycle repair station will offer shared spaces to encourage interaction, a way for neighbours to foster relationships,” he said. “When you look at the guiding principles behind One Planet Living, it’s all about creating strong, connected communities that consume and expend wisely, with a view to the future and that goal is shaping every element of Evermore,” Mr Adams said. Evermore is the first apartment development in Western Australia to be recognised as a One Planet Community. It is only the fifth One Planet Community in Australia, joining the ranks of organisations, schools, governing bodies and communities recognised under the One Planet Living framework globally. Construction of the highly sustainable Evermore development is expected to commence shortly and conclude in early 2018. Yolk Property Group has partnered with Curtin University, LandCorp, Solar Balance, Australian Renewable Energy Agency (ARENA), Low Carbon Living Cooperative Research Centre and Commonwealth Scientific and Industrial Research Centre (CSIRO) to deliver Evermore WGV, with ARENA providing a $280,000 grant to aid Yolk Property Group deliver the project.